One of the most essential and important steps in organizing and keeping track of your finances is creating a budget. Everyone's monthly budget looks differently. It expresses who you are as a person, what you value, and your financial and life goals. That being said, your budget isn't something you can establish once and forget about. Life is unpredictable and your circumstances can change in an instant, which usually means so do your finances. When life changes, your budget usually needs to change as well. However, it may not always be obvious to you at first that your budget needs to be altered. Thankfully, there are ways your finances alert you to a budgetary error. Here are eight signs your budget needs an overhaul. If your account at the end of every month is drained and find yourself anxiously awaiting payday, it's a flashing, red sign that your budget needs an overhaul desperately. If you don't have any income left over at the end of the month, it's unlikely that you have much that you can put into savings or set aside for necessary, emergency expenses. Sit down and really track where your money goes each month. You'll likely find a place or two where you could cutback to add some extra savings and eliminate the worry you feel as each month comes to a close. Credit cards are great for building credit and a necessary part of being financially healthy. Unfortunately, there are many cases wherein credit cards are used as a last resort. If you find yourself turning to your credit cards to cover necessary expenses, your budget is probably not working. At any given time, you should only use 20 to 30 percent of your credit limit. If you're forced to constantly use them in a bind, you're probably using much more and could possibly be hurting your credit score. That being said, if you find yourself falling into this habit, it's a sign your budget needs an overhaul. This is a fairly obvious one, but still a major financial change to be aware of. If you've lost your job, been demoted, or received a promotion and salary increase, your budget needs an overhaul. Whether you've had an increase or decrease in salary, even a small amount can make a world of difference. 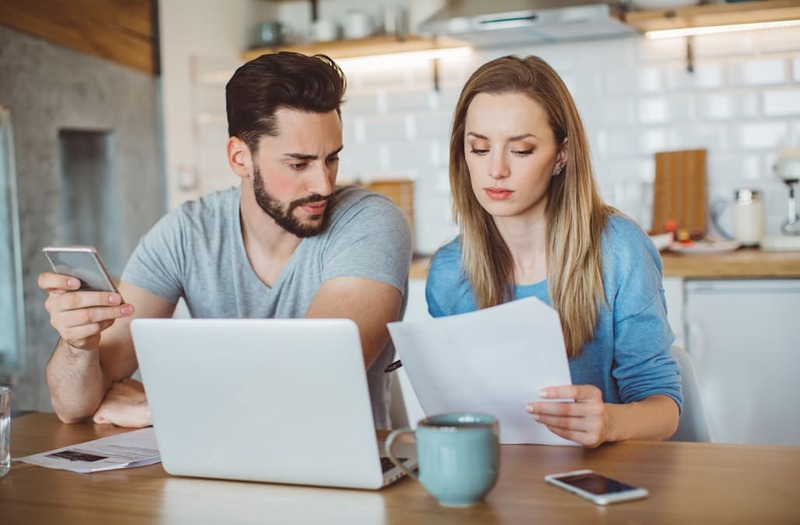 A decrease in salary ultimately means you'll have to cut some things out, where an increase could mean more towards savings and retirement funds. Your savings fund is set up for a purpose, to ensure you have a good nest egg for the future. It's usually meant to be set aside for a later date and left alone so it has opportunity to accumulate interest and grow in value. Unfortunately, many people chose to prematurely dip into their savings when they find themselves low on cash or in a bind. It's a bad habit that only serves to harm you in the future, which is why if you find yourself consistently doing so, it's time you revamped your budget to keep it from occurring. Whether you have a new member of the family, have new bills to pay, have recently moved, or took out a new loan, you may need to add a new category to your monthly budget. If you've acquired any new expenses, it's important that you revise your budget to include them. Doing so will not only ensure those expenses are covered, but will also help keep you from running dry in other categories as well. As your life progresses, there are bound to be new life and financial goals you hope to achieve. You are also likely to achieve various goals throughout your life, which means you'll start over with a new goal at some point. It's unlikely that you'll want to or be able to keep setting aside the same amount of money you did for one goal for another. Take the time to carefully plan out how you're going to achieve said goals and then incorporate that plan into your budget. Do you constantly find yourself dipping into money set aside for other expenses to cover a different expense? For example, maybe you find yourself always going over your clothing or entertainment budget every month. Unfortunately, that money has to come from somewhere. This means your either taking from another budgetary category or spending money you might not have. Reexamine your spending habits and adjust your budget to either cut back in other areas to accommodate the new value you want to spend, or be prepared to adjust your habits to equal what you set aside in your budget originally for that category. Frustration and worry can be key signs that your budget needs an overhaul. Life is unexpected and as such, unexpected purchases are going to have to be made throughout your life. Your stove might die, your car might need repairs, or your house might need a new roof. Whatever the expense, your budget should include an emergency category to accommodate for the unknown. If that isn't the case and you find yourself constantly worried about those unexpected curveballs, then it's time to readjust your budget. Your budget is an integral part to keeping your financial life healthy. It's also a wonderful tool that helps ensure every expense is covered, ultimately keeping you worry-free. Unfortunately for some, a budget can seem as though it isn't helping at all. This only leads to frustration and anxiety. If you find yourself consistently preoccupied with your finances and unsure each month as to how you're going to pay for everything, a budget overhaul is in order. You might be pleasantly surprised by how much of an impact it can make. The post 8 Signs Your Budget Needs an Overhaul appeared first on Everything Finance.